Operation Osoaviakhim was a Soviet operation which took place on 22 October 1946, with NKVD and Soviet army units at gunpoint removed more than 2,200 German specialists – a total of more than 6,000 people including family members – from the Soviet occupation zone of post-World War II Germany for employment in the Soviet Union. Much related equipment was moved too, the aim being to literally transplant research and production centres, such as the relocated V-2 rocket centre at Mittelwerk Nordhausen, from Germany to the Soviet Union, and collect as much material as possible from test centres such as the Luftwaffe's central military aviation test centre at Erprobungstelle Rechlin, taken by the Red Army on 2 May 1945. 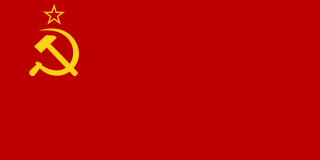 The codename "Osoaviakhim" was the acronym of a Soviet paramilitary organisation, later renamed DOSAAF. The operation was commanded by NKVD deputy Colonel General Serov, outside the control of the local Soviet Military Administration (which in a few cases, such as Carl Zeiss AG, tried to prevent the removal of specialists and equipment of vital economic significance for the occupation zone,  unsuccessfully, as it turned out, with reportedly only 582 of 10,000 machines left in place at Zeiss  ). Planned some time in advance to take place after the zone's elections on 20 October, to avoid damaging the Bloc of the Anti-Fascist Democratic Parties Unity List's result, the operation took 92 trains to transport the specialists and their families (perhaps 10,000-15,000 people in all  ) along with their furniture and belongings. Whilst those removed were offered contracts (the specialists were told that they would be paid on the same terms as equivalent Soviet workers  ), there was little doubt that failing to sign them was not a realistic option. State Security General Ivan Alexandrovich Serov was a prominent leader of Soviet security and intelligence agencies, head of the KGB between March 1954 and December 1958, as well as head of the GRU between 1958 and 1963. He was Deputy Commissar of the NKVD under Lavrentiy Beria, and played a major role in the political intrigues after Joseph Stalin's death. Serov helped establish a variety of secret police forces in Central and Eastern Europe after the lowering of the Iron Curtain, and played an important role in crushing the Hungarian Revolution of 1956. 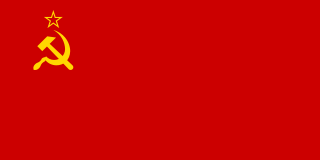 The Soviet Military Administration in Germany was the Soviet military government, headquartered in Berlin-Karlshorst, that directly ruled the Soviet occupation zone of Germany from the German surrender in May 1945 until after the establishment of the German Democratic Republic (GDR) in October 1949. Carl Zeiss , branded as ZEISS, is a German manufacturer of optical systems, and industrial measurement and medical devices, founded in Jena, Germany in 1846 by optician Carl Zeiss. Together with Ernst Abbe and Otto Schott they built a base for modern optics and manufacturing. There are currently two parts of the company, Carl Zeiss AG located in Oberkochen with important subsidiaries in Aalen, Göttingen and Munich, and Carl Zeiss GmbH located in Jena. A major consideration of the Soviet decision to undertake the operation was fear of the German economy and technological potential re-acclimatizing amidst the cooperation of Soviet and German technical experts after the war, and the simultaneous desire to cultivate this technological potential for the Soviet Union's benefit (especially as it concerned the nascent rocket program thereof). In particular, A. G. Myrkin of the Soviet artillery directorate wrote a letter to the head of NKVD operations in Germany complaining about the prominence of German scientists in important state-secure work. Another possible reason for the operation was the Soviet fear of being condemned for noncompliance with Allied Control Council agreements on the liquidation of German military installations. [ citation needed ] New agreements were expected on four-power inspections of remaining German war potential, which the Soviets supported, being concerned about developments in the western zones. The operation has parallels with Allied operations such as Alsos Mission, Operation Paperclip and Russian Alsos, in which the Allies brought military specialists, notably Wernher von Braun, from Germany (primarily to the United States). ↑ Oral Interview with Fritz Karl Preikschat recorded by his son Ekhard Preikschat, Bellevue, WA, USA, April 21, 1994. Helmut Gröttrup was a German engineer and rocket scientist. He was a manager for Wernher von Braun in the V-2 rocket program. During 1940, he was program manager for remote guidance and control at Peenemünde Army Research Center. In December 1940, he was made department head at Peenemünde Army Research Center under Ernst Steinhoff. Max Christian Theodor Steenbeck was a German physicist who worked at the Siemens-Schuckertwerke in his early career, during which time he invented the betatron in 1934. He was taken to the Soviet Union after World War II, and he contributed to the Soviet atomic bomb project. In 1955, he returned to East Germany to continue a career in nuclear physics. 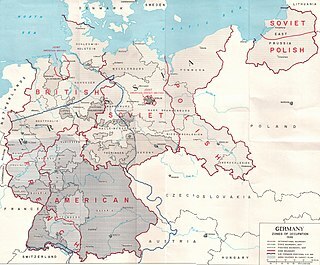 The Soviet Alsos or the Russian Alsos was an operation that took place during 1945–1946 in Germany, Austria, and Czechoslovakia, and whose objectives were the exploitation of German atomic related facilities, intellectual materials, materiel resources, and scientific personnel for the benefit of the Soviet atomic bomb project. Rudolf Heinz Pose was a German nuclear physicist. Günter Wirths was a German chemist who was an authority on uranium production, especially reactor-grade. He worked at Auergesellschaft in the production of uranium for the Heereswaffenamt and its Uranverein project. In 1945, he was sent the Soviet Union to work on the Russian atomic bomb project. When he was released from the Soviet Union, he settled in West Germany, and worked at the Degussa company. Karl-Heinrich Riewe was a German physicist. After World War II, he was sent to Russia to work on the Soviet atomic bomb project. After going on strike at a defense related facility in 1948, he was accused of sabotage. He was sentenced to 25 years in the GULAG and disappeared. The industrial firm Auergesellschaft was founded in 1892 with headquarters in Berlin. Up to the end of World War II, Auergesellschaft had manufacturing and research activities in the areas of gas mantles, luminescence, rare earths, radioactivity, and uranium and thorium compounds. In 1934, the corporation was acquired by the German corporation Degussa. In 1939, their Oranienburg plant began the development of industrial-scale, high-purity uranium oxide production. Special Soviet search teams, at the close of World War II, sent Auergesellschaft equipment, material, and staff to the Soviet Union for use in their nuclear weapon project. In 1958 Auergesellschaft merged with the Mine Safety Appliances Corporation, a multinational US corporation. 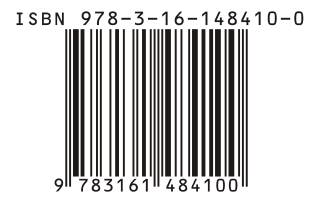 Auergesellschaft became a limited corporation in 1960. Walter Herrmann was a German nuclear physicist and mechanical engineer who worked on the German nuclear energy project during World War II. After the war, he headed a laboratory for special issues of nuclear disintegration at Laboratory V in the Soviet Union. NKVD special camps were NKVD-run late and post–World War II internment camps in the Soviet-occupied parts of Germany from May 1945 to January 6, 1950. 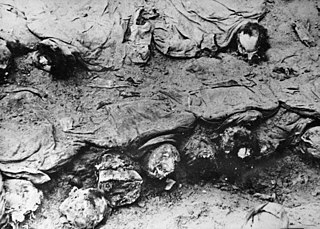 They were set up by the Soviet Military Administration in Germany (SMAD) and run by the Soviet Ministry of Internal Affairs MVD On 8 August 1948, the camps were made subordinate to the Gulag. Because the camp inmates were permitted no contact with the outside world, the special camps were also known as silence camps. NKVD special camp Nr. 7 was a NKVD special camp that operated in Weesow until August 1945 and in Sachsenhausen from August 1945 until the spring of 1950. It was used by the Soviet occupying forces to detain political prisoners. Fritz Karl Preikschat was a German, later American, electrical and telecommunications engineer and inventor. He had more than three German patents and more than 23 U.S. patents, including a dot matrix teletypewriter, a blind-landing system for airports (1965), a phased array system for satellite communications (1971), a hybrid car system (1982), and a scanning laser diode microscope for particle analysis (1989).